Metallic Conveyor Belt is extensively used in petroleum, metallurgy, food machinery, medicine, etc. We are a noted Metallic Conveyor Belt Manufacturer and Supplier in Tamil Nadu (India). We offer a robust range of Metallic conveyor Belt which is made from high grade metals such as galvanized iron wire, stainless steel, etc. 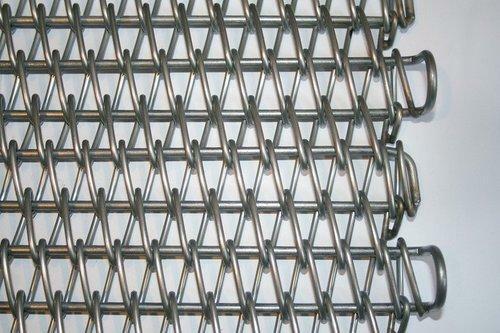 We provide our Metallic Conveyor Belt in diverse weave, length and width to cater the customer’s needs.